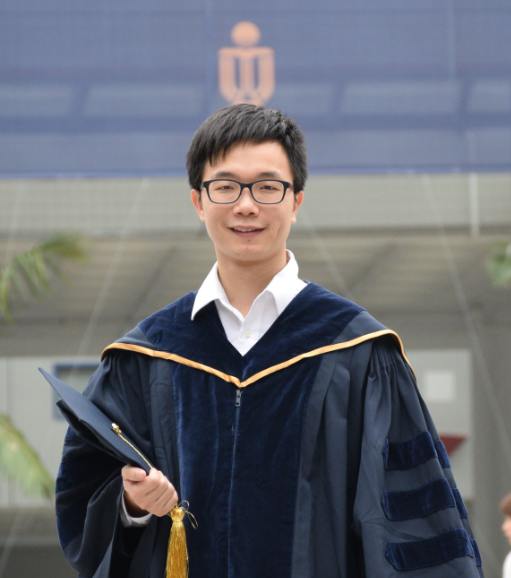 I received my Ph.D. degree at the Robotics Institute (RI), Department of Electrical and Computer Engineering, The Hong Kong University of Science and Technology (HKUST) in 2017. Before that, I obtained the B. Eng. degree from South China University of Technology (SCUT) in 2012. I am a member of the Multimedia Technology Research Center (MTrec) in my first two-year postgraduate study, supervised by Prof. Oscar C. Au (IEEE Fellow). I worked on image processing, video coding, and signal processing during this period. After that, I joined the Robotics Institute. My supervisor is Prof. Shaojie Shen. I am working on visual odometry, mapping, 3D reconstruction, visual-inertial fusion, SLAM, and autonomous navigation. [News] I am now a senior researcher in AI Lab@Tencent. A few intern positions are available for talented Ph.D. and Master students. Please contact me if you are interested and self-motivated to do cutting-edge work. in Computer Vision and Pattern Recognition (CVPR), 2019.
in IEEE International Conference on Image Processing (ICIP), 2015.
in IEEE International Conference on Image Processing (ICIP), 2014.
in IEEE International Symposium on Circuits and Systems (ISCAS), 2014.
in IEEE International Conference on Acoustics, Speech and Signal Processing (ICASSP), 2014.
in IEEE Visual Communications and Image Processing (VCIP), 2013.